All Grain Special/Best/Premium Bitter homebrew recipe. 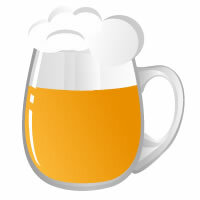 This homebrew recipe uses the following ingredients: Pilsner - DE, Munich - Light 10L - US, Wheat Malt (DE), CaraMunich II - DE, Amarillo Hops, Magnum Hops, Fermentis Safale US-05 Homebrew Yeast. This recipe was cloned from Dr Smurto Golden Ale All grain.